Not all of us can afford a new smartphone. There have been many positive reviews regarding the used version of the Samsung Galaxy Ace. Is there any truth to such statements? Our panel of smartphone experts has taken a closer look at this model so that you can make the most informed choice. This is considered the “smaller brother” to larger versions of Samsung smartphones. It contains a built-in memory capacity of 158 megabytes. Our users found this feature to be quite impressive for such a small package. A battery time of up to 11 hours was also substantial although depending upon the activation of features such as GPS and Internet, this lifetime was dramatically reduced. 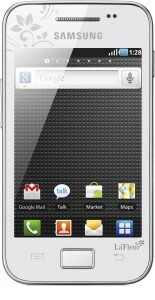 It contains a rear-facing camera of 5 megapixels and a screen resolution of 480 x 320. A robust memory of 158 megabytes is the first aspect that the majority of our testers found appealing. It has a slim feel while still being bulky enough to not appear overly flimsy. A diminutive size is also great if you wish to keep it in your pocket. After performing several drop tests from as high as one meter, we discovered the phone to be quite durable. We were disappointed in the lack of processing power with the Galaxy Ace. Applications tended to run slowly and there were occasions when the screen froze for a few seconds. This is likely due to the single-core Qualcomm MSM7227 processor contained within. The 3.5-inch screen can be a bit tough to work with for those with larger fingers. Our male users experienced this with the tiny touch-screen keyboard within. In terms of resolution, we were also a bit disappointed. While 480 x 320 may be light years ahead of phones only a few years ago, many believe that the Galaxy Ace should have offered better graphics. 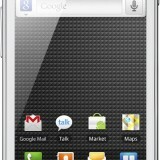 Although the Galaxy Ace may not measure up to the iPhone series, it is still an economical option for those on a budget.